I was visiting Germany and it was the first time I had ever visited a concentration camp. As I looked out the window of one of the barracks I couldn’t take my eyes off what I saw. 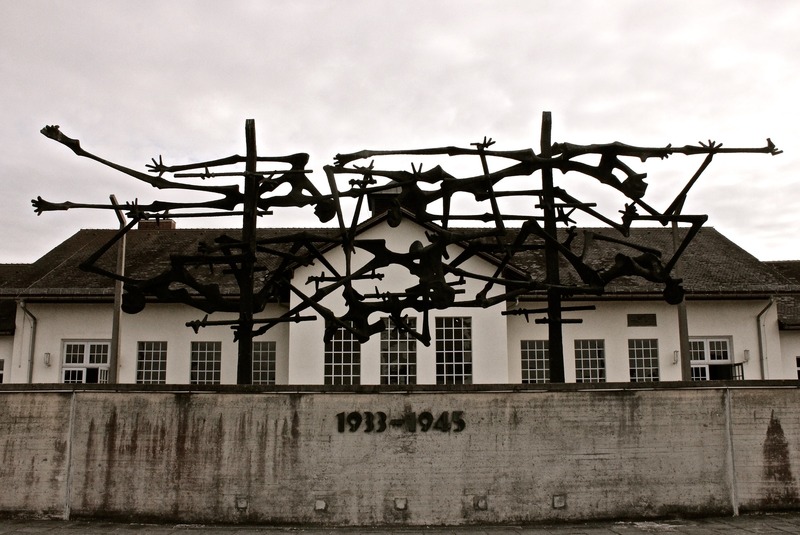 It was a bronze sculpture made to look like barbed wire but the barbed wire was made to resemble the victims who died in the camp. It is the most powerful sculpture I have ever seen and something I will never forgot. To be in a place of so much pain is sobering and a reminder of a dark time in history. It’s an indescribable feeling to confront such a place but I think very necessary because it is my belief that “those who fail to learn from history, are doomed to repeat it.” (Churchill).